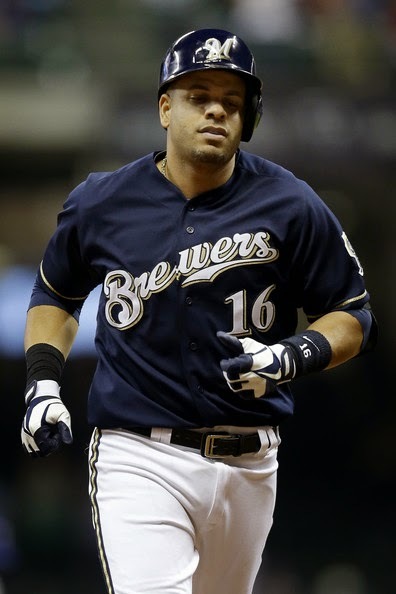 The Milwaukee Brewers pulled their third base slugger Aramis Ramirez from the game in the 4th inning tonight against the Yankees. After fielding a groundball, Ramirez came up limping. The inital injury report is that he suffered a strained left hamstring and a trip to the DL is likely. Ramirez is hitting .252 with 5 home runs and 21 RBI through 34 games. If Ramirez lands on the DL then Mark Reynolds and Jeff Bianchi will split time at third base. The Brewers who are 22-14 and in first place in the NL Central, are already without MVP Ryan Braun.